AdventureSmith Explorations will help banish snow and ice with three new close-to-home itineraries, two by land and one by sea. All deliver guests this winter into the sunshine of Baja where the wonders of a North American version of the Galapagos await. One itinerary places people nose-to-nose with land and marine life teeming in one of the world's most nutrient-rich marine environments-- the Sea of Cortez, home to 39 percent of the world's total marine mammal species, a third of the world's marine cetacean species and 891 fish species. This abundance of marine life also draws many species of birds. Another itinerary posits guests up close and personal with the color, culture, landscape and people on the Pacific Ocean side of Baja California Sur (south) where sunny days and white sand beaches traditionally draw culture mavens and their followers to an abundance of art, music and regional fare. "On or off the water, our Baja itineraries are immersive and active. The new programs we're presenting this winter address requests for quick getaways as well as week-long vacations, all in a region with the same kind of appeal as the Galapagos," says Todd Smith, AdventureSmith Explorations Founder and President. "We can usually accommodate last-minute requests for land-based and cruise itineraries in this affordable, easy-to-navigate region." The brand-new 100-guest National Geographic Venture launches this winter with spacious accommodations and equipment to suit the most active of travelers over five days on Base Camp Baja, a wellness-focused cruise in the Sea of Cortez. This cruise is active and relaxing with award-winning wellness programs. Guests pursue yoga, stand-up paddleboarding, kayaking, snorkeling, hiking, stretching in the onboard fitness center, meditating and massages as well as body and natural facial, hand and foot treatments. This new ship is kicking off its first-ever sailing season in Baja before heading north to Alaska. The per person double rate is from $2,650. Departure dates in 2018 are Dec. 22-26, Dec. 26-30 and Dec. 30-Jan. 3, 2019; 2019 departures are Jan. 3-7, Jan. 7-11, Dec. 23-27, Dec. 29-Jan. 2, 2020; 2020 departure dates are Jan. 2-6 and Jan. 6-10. A bonus for vacationing in this region is the possibility of swimming with whale sharks. Although whale sharks are found swimming all over the world, La Paz, Baja (a commonly used port for AdventureSmith's small ship cruises), is one of the easiest and closest opportunities to swim alongside them for North Americans. These fish (the largest fish in the world) have made a winter home in the sandy shallows just outside the La Paz harbor where snorkelers can test their swimming speed (and nerve) by trying to keep up with these massive creatures. (Whale sharks swim like a shark but feed on plankton and other small sea life, offering no threat to swimmers.) Swimming with these majestic creatures is an experience not easily forgotten. 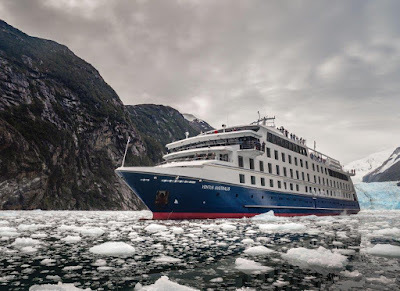 Adventure travel specialist, World Expeditions, has launched a new adventure cruise through the remote, southernmost fjords of South America, via the Strait of Magellan, the Beagle Channel and Cape Horn, amongst the glaciers and snow-capped, jagged peaks for which the region is famous. On board the very comfortable, spacious, medium capacity (max 210 passengers) Stella Australis or Ventus Australis, the cruise offers opportunities to see vast colonies of penguins and other seabirds, as well as southern elephant seals and other sub-polar wildlife. The 5-day, 4-night Cape Horn and Patagonian Fjords cruise operates in either direction between Punta Arenas and Ushuaia, or as a 9-day, 8-night round trip, with travellers start departing from - and returning to - the same city. It departs between September and March and cost from AUD$3,090 per person (one way, twin share), including fine-dining meals onboard, free bar (with selected beverages), professional expedition guide and support staff, shore excursions and onboard entertainment. Like the longer established, 4-day Chilean Fjords – The Kaweskar Route, the new cruise is expected to be a popular extension for travellers to Torres del Paine. The small-vessel Kaweskar cruise, which departs Puerto Natales and takes in fjords north of the new cruise, operates between October and April and costs from AUD$2,690 (twin share). More information at www.worldexpeditions.com or 1300 720 000. PONANT and NATIONAL GEOGRAPHIC have joined forces, combining their specific areas of expertise to offer a range of unique and enriching expedition cruises. A collection of 18 expeditions stretching from Alaska to Antarctica - a taste of what is to come from this recently announced partnership. 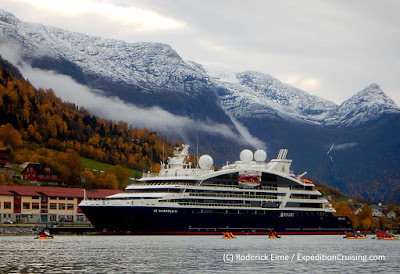 Aboard PONANT’s luxury small expedition ships, accompanied by PONANT’s experienced Expedition Team as well as NATIONAL GEOGRAPHIC destination experts, award-winning photographers and photojournalists, adventurous and inquisitive guests will sail to destinations that are among the most remote, the most fascinating and the wildest on the planet. Here they will explore and encounter the wonders of the world up close, right at the sources, and be transformed by these enriching experiences. 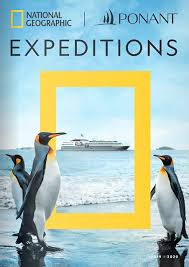 “This inaugural brochure features a selection of NATIONAL GEOGRAPHIC & PONANT Expeditions to many regions and destinations that few travellers ever see. Exciting, immersive, wild … some with experiences perhaps outside your comfort zone, yet explored in comfort from onboard PONANT’s fleet of modern small expedition ships. Together we are creating exciting new expedition cruising opportunities,” explained Monique Ponfoort, PONANT’s Vice President Asia Pacific. The 48-page Expeditions to Inspire brochure is available now. 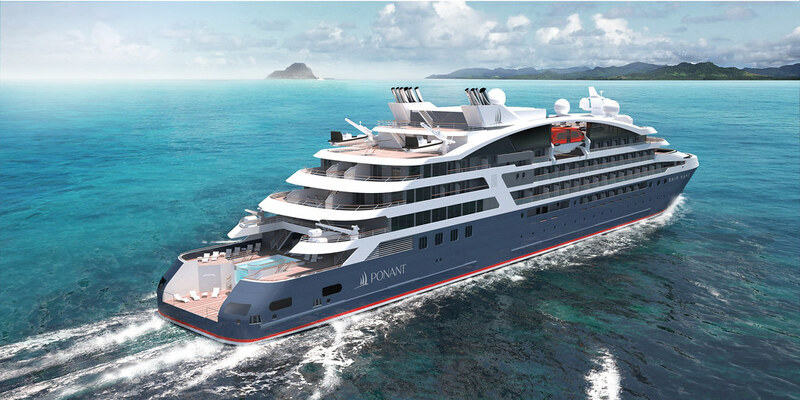 Indian Ocean, by 2021 there will be more than 130 expeditions co-created by PONANT & NATIONAL GEOGRAPHIC. SeaLink Travel Group today announced the purchase of the luxurious superyacht, "AUSPRO". She will join the Captain Cook Cruises fleet on Sydney Harbour in mid-November as a deluxe 'premium-end' charter and private cruising vessel. Building upon Captain Cook Cruises' legendary focus on service, "AUSPRO" will deliver an extraordinary new level of luxury and sophistication. 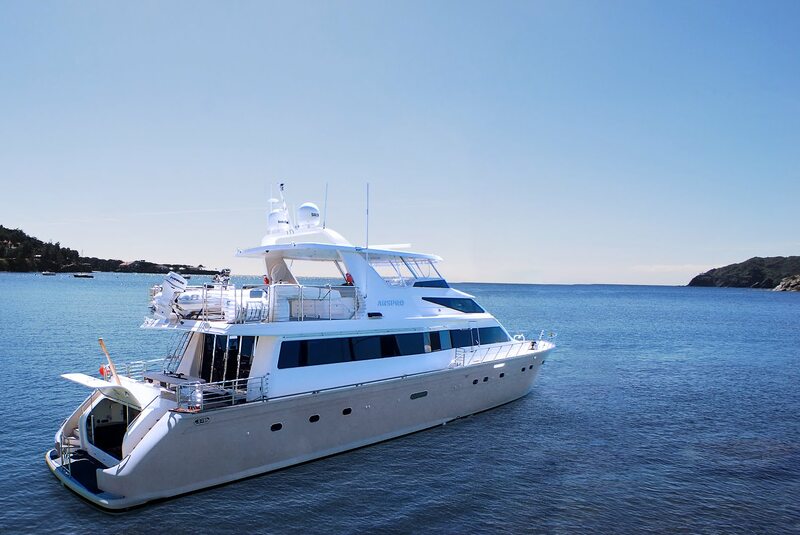 With her own full-time Captain and beautiful classic interior, "AUSPRO" is ideal for high-end corporate entertaining, five-star private functions, intimate weddings or celebrations and extravagant overnight getaways. 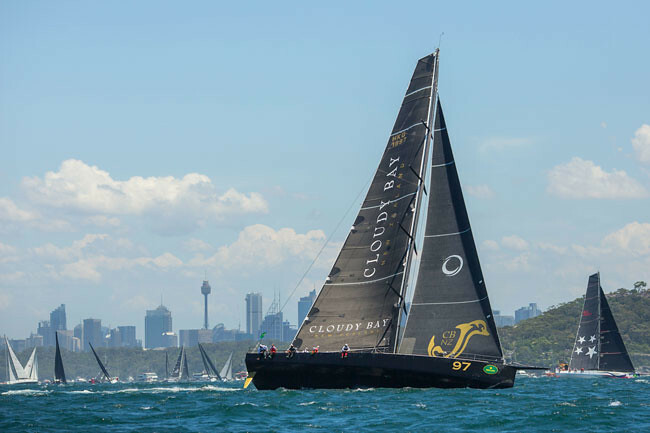 Responding to the recent growth of the superyacht charter industry on Sydney Harbour, Jeff Ellison, CEO and Managing Director of SeaLink Travel Group, said this is a direction SeaLink is excited to take as it increases focus on attracting elite clientele locally and internationally. "This is part of our three-year growth strategy for Sydney Harbour. We have listened to our key trade partners, and they have asked us to deliver a boutique, intimate experience for their five-star guests." Ellison continued: "Our goal is to strive for consistent improvement. This is the first of many new initiatives planned for SeaLink/Captain Cook Cruises in the coming months." Built by leading Italian superyacht manufacturing company Azimut, "AUSPRO" is a 30m motor yacht fitted with a Gyro Stabiliser for super smooth harbour sailing and has a range capable of offering extended overnight trips. The lavish superyacht can accommodate 45 guests for a VIP function or eight overnight guests and features two staterooms and two cabins. The stylish saloon is finished in gloss mahogany and teak curved timbers, Italian cream leather upholstery and a padded ceiling with plush carpets. Extra detail in lighting and audiovisual enhances the luxurious ambiance. The galley is modern and stylish with European appliances and the flybridge has a fully equipped wet bar, glass fridges, BBQ and LCD TV. Crew accommodation is for four crew plus a captain's cabin with a ship's office that allows for a liveaboard captain. 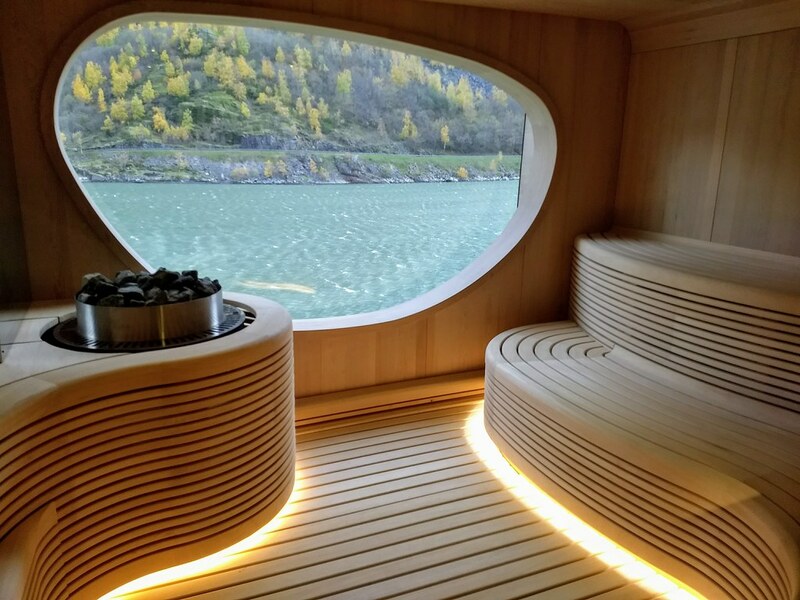 Expedition Cruising editor, Roderick Eime, was delighted to be invited to inspect the brand new and second of the new class of expedition vessel from Ponant, Le Champlain, on a 3-day shakedown cruise in Norway. As you've read here already, these new ships are slightly smaller than the Le Boreal Class of which four have already launched. Six of these are planned with two already launched and carrying their first passengers. Compared to their older and larger siblings, the new 128m 'Explorer' class carries just 184 passengers in 92 twin occupancy cabins and suites as opposed to 142m and 264 pax. All the superior trimmings and amenities Ponant guests are familiar with can be found aboard the Explorer fleet which is designed to operate on tropical and warmer climate expeditions. More details here soon. Come back to read updates. 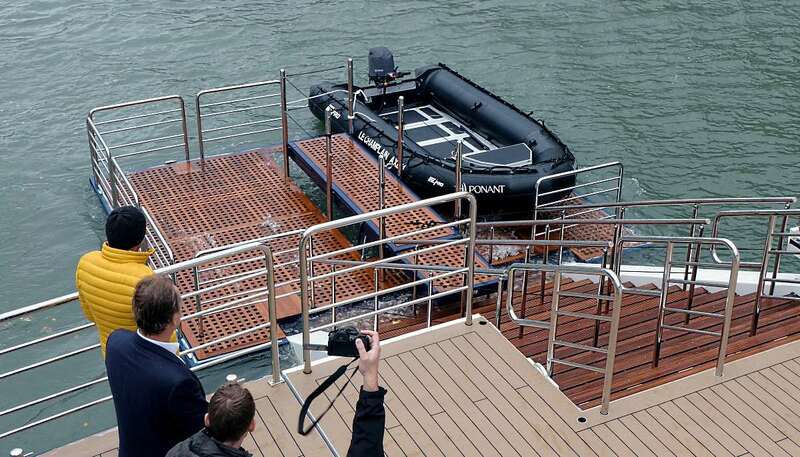 Meanwhile, the construction of Le Bougainville and Le Dumont d' Urville progresses on the Vard shipyard in Tulcea in Romania; the ships are scheduled for delivery in 2019. Leading expedition cruise operator, One Ocean Expeditions (OOE) is proud to officially welcome to its fleet the vessel 'RCGS Resolute'. To celebrate her first sailing under the One Ocean Expeditions' banner the company is hosting a grand recommission event at the Port of Sydney, Nova Scotia on October 16th, 2018. With the fleet expansion comes an increased number of sailings to Canada's East Coast and Antarctica as well as the introduction of new non-polar destinations in Spring 2019. "Introducing RCGS Resolute to our fleet in her home port of Sydney, Nova Scotia is an important moment for One Ocean Expeditions, The Royal Canadian Geographical Society and our partners," says Andrew Prossin, Managing Director of One Ocean Expeditions and Cape Breton native. "A ship recommissioning is a unique ceremony that places a vessel in active service. It is a joyous occasion that we are honoured to host on Canada's East Coast and my home." "As One Ocean Expeditions' exclusive marine partner in education, environmental science, and exploration, it's an honour to name one of our vessels with a RCGS pre-fix for the first time," adds Catherine Lawton, OOE's General Manager. "In partnering with Royal Canadian Geographical Society, our guests have the exclusive opportunity to learn from and interact with RCGS Fellows including world-renowned scientists, educators, researchers, naturalists, marine biologists, artists, historians and photographers on board. We look forward to welcoming RCGS Resolute to our fleet along with our friends, partners and supporters." Notable guests at the October 16th event will be Commissioner of Nunavut, The Honourable Nellie T. Kusugak, Rear Admiral Nick Lambert, The Honourable Alexandra Shackleton, Navy Captain Guillaume Lefrance (CD), The Honourable Rodger Cuzner (MP), Michael MacDonald (MP), Cape Breton's Mayor Cecil Clarke and John Geiger, CEO of RCGS. Says John Geiger, "This day represents a great moment in the history of the Royal Canadian Geographical Society. RCGS Resolute is a platform not only for expeditionary travel but for science and education." Special appearances also include performances by Stadacona Band of the Royal Canadian Navy and the 29 Sydney Kiwanis Royal Canadian Air Cadet squadron with Commanding Officer Major Dodie Hanna (CD). The ship will be blessed by Reverend Canon Donald J Lawton (CD) at the ceremony, and the onboard VIP celebration will conclude with an exclusive performance by popular local band and one of the nation's favourites, the Barra MacNeils, to mark this momentous occasion. Designed for exploration and for comfort, RCGS Resolute is modern, well-appointed, safe and ice-strengthened. The ship offers an array of premiere amenities aligning with OOE's unique small ship programming, educational opportunities and numerous activities tailored to guests' individual interests. 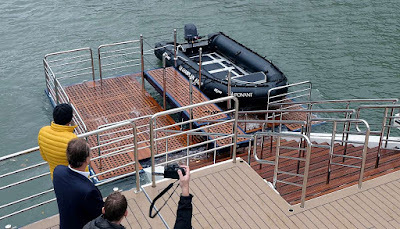 This new addition joins OOE's One Ocean Navigator / Akademik Ioffe and One Ocean Navigator/ Akademik Sergey Vavilov, both carrying less than 100 passengers. While RCGS Resolute hosts 146 passengers, she has the capacity to host and operate an increased number of programs simultaneously, ensuring the same small group comfort and intimacy found on all OOE vessels. RCGS Resolute's inaugural voyage will depart from Ushuaia, Argentina on November 16th, 2018, on the "Antarctica - Off the Beaten Track'" voyage. From November to March she will explore Antarctica and South Georgia before heading north to the Chilean Fjords in April 2019. From there she heads to Costa Rica and Panama, through the Panama Canal and onwards to the North Atlantic, commencing voyages through Scotland, Iceland and the Faroe Islands. She will also host OOE's inaugural Scotland & Ireland Golf Expedition before starting her first season in the Canadian High Arctic. Book any seven-night Fiji cruise and receive three nights free with small ship experts, Captain Cook Cruises Fiji's 'Three Nights Free Sail'. Offering savings of up to AUD$2100 per person this deal is on sale until 9 November 2018 with travel valid until 31 March 2019. Captain Cook Cruises Fiji's seven-night itineraries include the seven-night Mamanuca and Yasawa Islands cruise which departs every Tuesday and Saturday and the seven-night 4 Cultures Discovery or Colonial Discovery cruises which depart one a month on alternate months. The seven-night Yasawa Islands and Mamanuca cruise discovers the beauty of the Southern and Northern Yasawa Island group and cruises through the spectacular passage from Yaqeta Island to the Yasawa's northern reaches. The cruise visits the islands of Waya, Naviti and Viwa, the private island of Tivua, the Sawa-l-Lau limestone caves and the blue lagoon and Mononki – the island where Tom Hank's movie Castaway was filmed. The seven nights 4 Cultures Discovery cruise circumnavigates Vanua Levu, Fiji's second largest island and visits four distinctive Fijian cultures including Ellice Islanders (Polynesians), Banabans (Micronesia), Fijians and Indians. The cruise visits the islands of Kioa, Rabi, Labasa Town, Kia Island and the world's third longest barrier reef, "The Great Sea Reef". Captain Cook Cruises seven nights Colonial Fiji Discovery Cruise reveals the unique history, art and culture of the Northern Fiji Islands and allows passengers the ultimate experience of 'standing' on the 180th Meridian, the natural dateline. 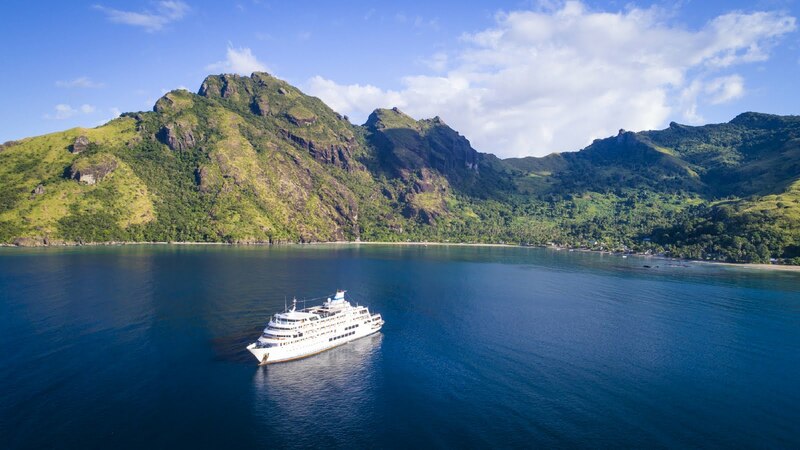 The cruise also visits the recent Heritage listed old capital of Levuka on the islands of Ovalau, Taveuni, the garden island and Savusavu, a town of hot springs and Pearl farms. Enjoy mouthwatering cuisine including buffet breakfasts, alfresco lunches, casual barbecues and table d'hote dinners. All food is prepared on board from fresh local and imported produce. The 'Three Nights Free' cruise sale is valid on all room categories including "A" Tabua Suites, "B" and "C" Ocean Staterooms and "D" Porthole Cabins and on sale until 9 November 2018 with travel valid until 31 March 2019. Prices for the 'Three nights Free Sail' for all seven-night cruises start from AUD$2045 per adult twin share, normally AUD$3395 per adult twin share and AUD$640 per child (5-17 years) sharing with an adult, normally AUD$1065 per child sharing with an adult. All fares include shipboard accommodation, all meals, guided village, school and island tours, snorkelling and glass bottom boat excursions, daily island stopovers and water activities, hikes and Kayak safaris, onboard entertainment, kids club (5-9 yrs), onboard Wi-Fi, 24-hour self-service tea and coffee bar, post cruise transfers to Nadi and Denarau hotels and Nadi airport and use of the ship's facilities including a swimming pool, jacuzzi, mini gym, sun deck, cocktail bar and library. 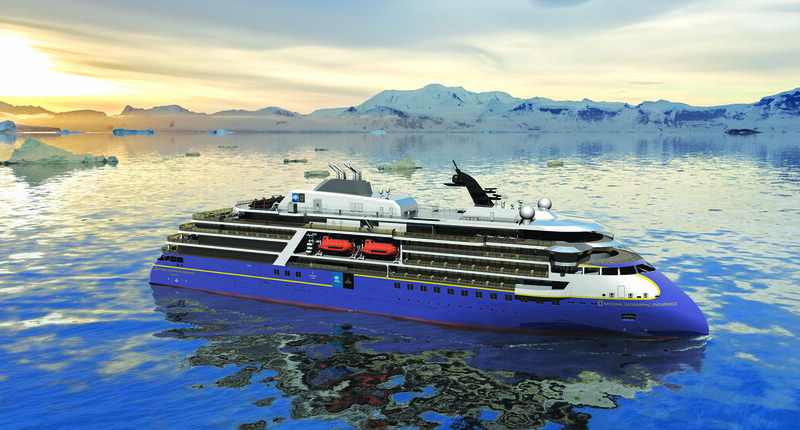 Sven Lindblad, CEO & President of Lindblad Expeditions, unveiled the world’s most advanced polar expedition ship– the 126-guest National Geographic Endurance - at a live video conference today. He was joined by key members of the line’s shipbuilding and expedition team including Trey Byus, Chief Expedition Officer (CXO); Nikolaos Doulis, Senior VP of Marine Builds, and Captain Leif Skog, VP of Nautical. The panel of experts discussed the ship’s innovative design and development, unveiled interior renderings, and the inaugural Arctic itineraries following her early 2020 delivery.